My first impressions with the aesthetics on this particular model was that it looked like a retro 1950s piece of furniture on New Year’s. “Laughs” It has silvery... glittery... sparkles woven into the front grill mesh, but surprisingly enough you don’t really notice it when it’s placed under a strong light source on stage. If anything it really gives the cab a pronounced stage presence! One of my concerns with the V-Series 2x12 was that they’re marketing scheme was really promoting how each cab was built to perfection and how much attention to detail is put into each piece, however this particular cab had imperfections with the white piping that bordered the front grill cloth. It’s extremely important when a cab design has piping that it gets installed perfectly. It will be the first design feature we’ll notice. However the build quality overall is top notch. 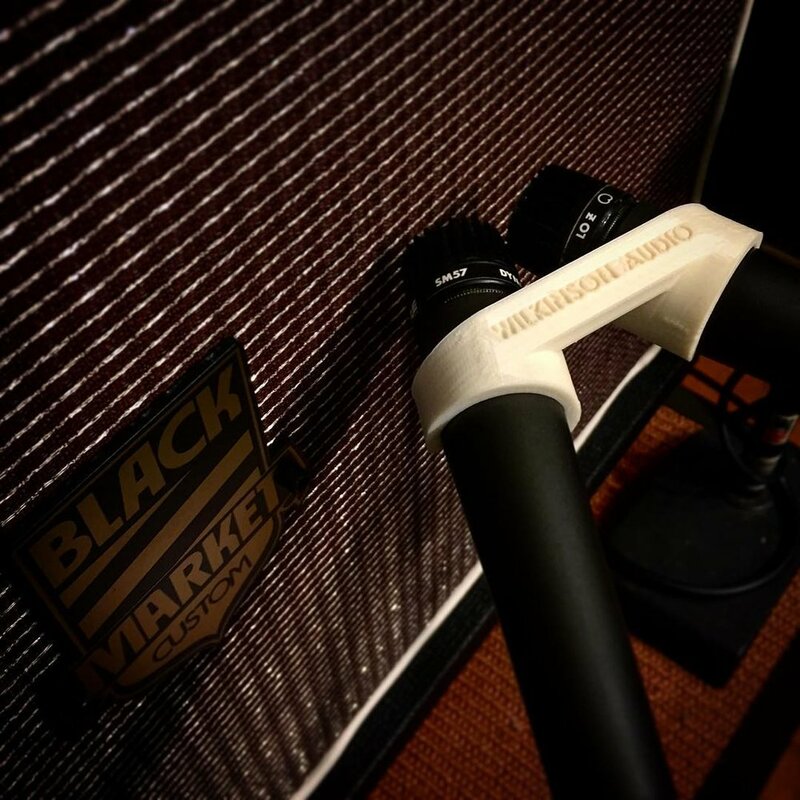 The Black Market Custom V-Series 2×12 is a horizontal oversized cab with an asymmetrical speaker configuration. It’s made out of “Void free Baltic birch construction” and the enclosure was put together extremely well. 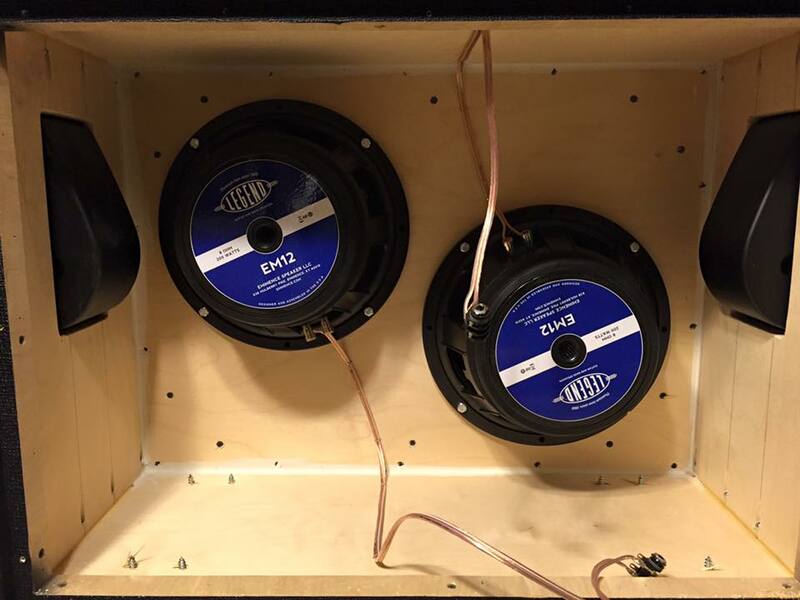 All wood screws were fastened and recessed into each joint along with a generous amount of carpenters glue to really keep the enclosure air tight. The speakers are back loaded. The back panel is made from a single piece of void free Baltic Birch with a vertical support strip running along the center that is also made out of Baltic Birch ply. 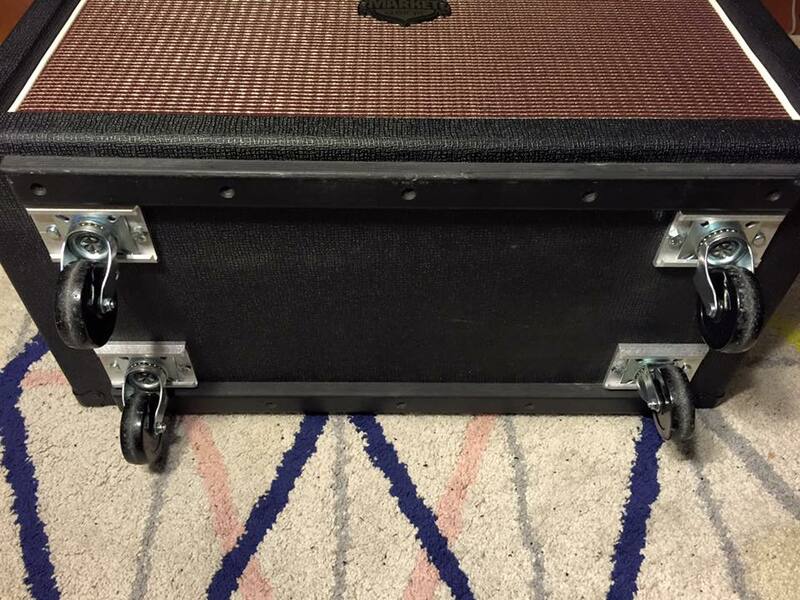 The black tolex covering the enclosure was applied perfectly. The tolex pattern and feel is very similar to the Orange PPC enclosures. The steel ¼” jack plate, and side handles felt extremely sturdy. Overall a high quality build indeed. The speakers used were a pair of Eminence EM12 Legends rated at 200 watts each wired at 16-ohms. The EM12 Legends sound very transparent and have a prominent high cut which will add a darker / smoother flavor overall but will have plenty of mids to cut through the mix. It worked well with treble centric amp heads like the Marshall JCM 900, Peavey 6505+, and the Krank Krankenstein just to name a few. The lowend is smooth / punchy and when you crank up the volume. There is little to no speaker distortion what so ever making this set the perfect live speaker setup. However In the recording studio. It does lack the high end sparkle even when you bump up the treble & presence knob significantly. I'd like to view the EM12 Legend more as an accent speaker in your cabinet. I can imagine it fitting well with an Eminence CV-75, Eminence Governor, Celestion G12-65 or even with a Celestion V30.